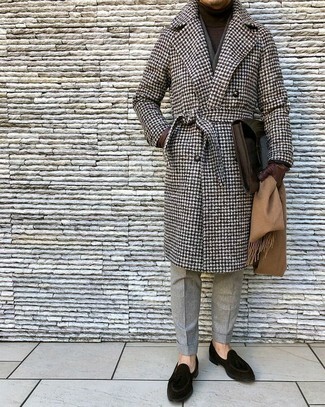 If you're all about comfort dressing when it comes to your personal style, you'll love this killer pairing of a brown houndstooth overcoat and a Moore & Giles jay leather briefcase. Channel your inner Ryan Gosling and make black suede loafers your footwear choice to class up your getup. 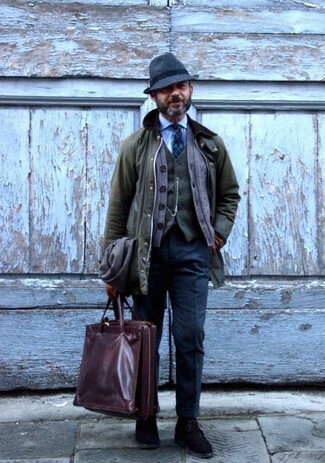 If you're a fan of relaxed dressing when it comes to fashion, you'll love this easy pairing of a tan trenchcoat and a dark brown leather briefcase. 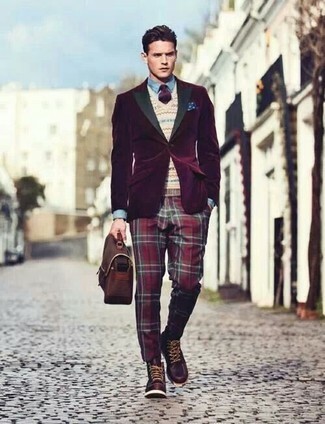 Dress up this outfit with brown leather tassel loafers. If you're a fan of relaxed dressing when it comes to your personal style, you'll love this simple pairing of a charcoal houndstooth blazer and a Moore & Giles jay leather briefcase. If you're a fan of relaxed dressing when it comes to fashion, you'll love this stylish pairing of a dark purple velvet blazer and a Moore & Giles jay leather briefcase. You could perhaps get a little creative when it comes to footwear and elevate your look with dark brown leather casual boots. 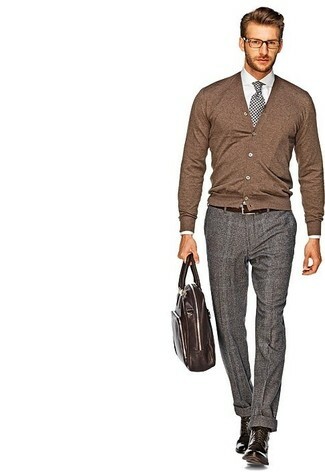 Opt for a brown cardigan and a dark brown leather briefcase to be both casual and cool. Amp up the cool of your ensemble by completing it with brown leather casual boots. 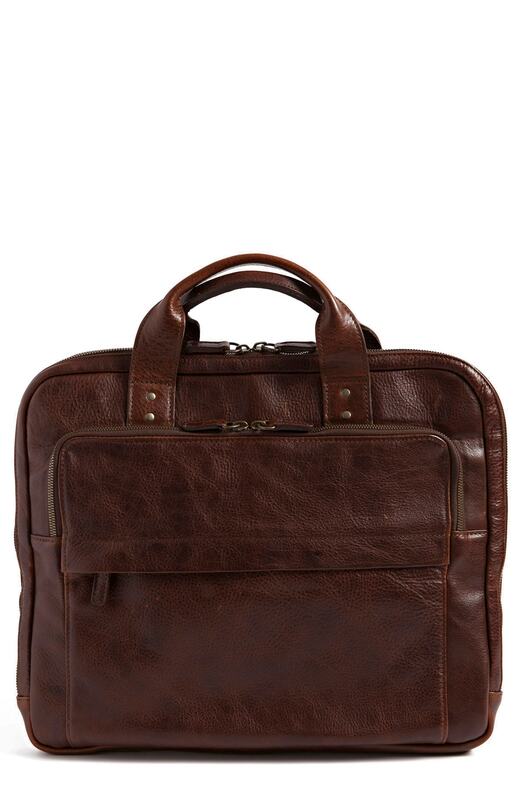 If you're a fan of practicality dressing when it comes to your personal style, you'll love this simple pairing of a black overcoat and a Moore & Giles jay leather briefcase from Nordstrom. 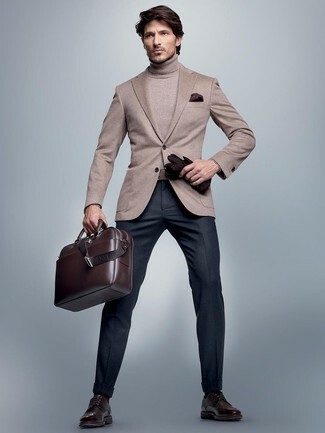 We all seek comfort when it comes to dressing up, and this combination of a beige blazer and a dark brown leather briefcase is a good illustration of that. 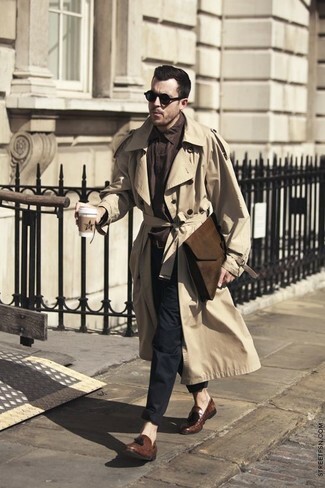 You could perhaps get a little creative in the footwear department and spruce up your outfit with dark brown leather brogues. 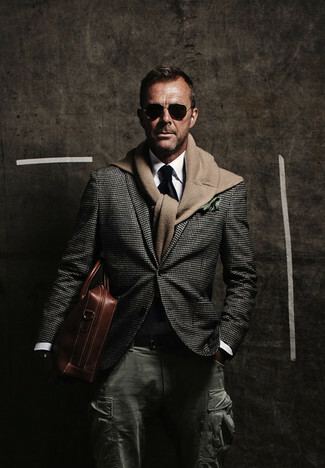 Marry an olive barn jacket with a Moore & Giles jay leather briefcase from Nordstrom if you're on the hunt for an outfit idea for when you want to look casually cool. 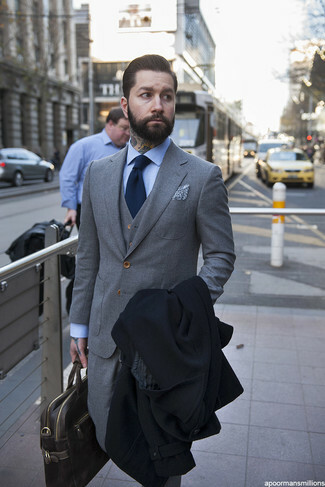 Elevate this outfit with dark brown suede desert boots. 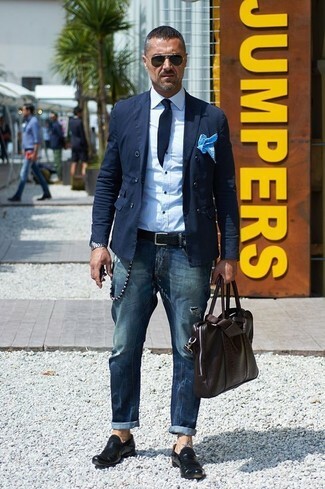 If you don't like trying-too-hard combinations, rock a navy cotton double breasted blazer with a dark brown leather briefcase. Channel your inner Ryan Gosling and make black leather loafers your footwear choice to class up your outfit.